The US Green Buildings Council estimates that compared to the average commercial building in the General Services Administration’s portfolio, LEED Gold buildings consume a quarter less energy and generate 34 percent lower greenhouse gas emissions. Correctional facilities have been able to accomplish comparable results, and in this panel you’ll find out how facilities in MO, NC, and WA have done it. Hear what prompted officials to pursue LEED certification, what was needed to make it happen, and how they found project financing. Education through vocational programs provides an opportunity for those whom are incarcerated to learn marketable skills and develop strong work habits which can be used after release. 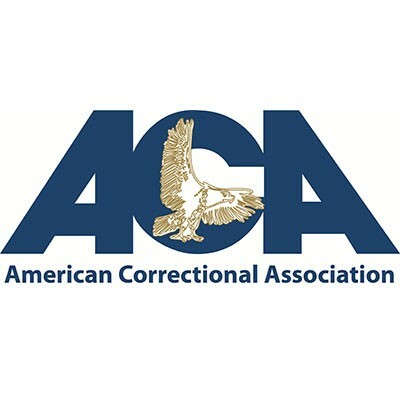 This is one of the guiding standards set forth by the American Correctional Association (ACA Standard 4-4451). Seeing as many prisons are either developing or expanding landscaping, horticulture, and gardening vocational programs the combination of beekeeping and horticulture is a great way to strengthen educational curriculum through hands on projects. A beekeeping program is also a great opportunity for a facility to get more involved with their local community through beekeeper associations. In fact, it can be argued that the success of a new beekeeping program can be directly linked to building strong partnerships in one’s community. Additionally, combining the knowledge of beekeepers and prison guards is a unique way to ensure the viability of a vocational program of this nature. Beekeepers provide recommendations for bee gardens while security conscious guards provide guidelines for selecting plants with respect to height and density in order to meet the security standards of a particular facility. Within this workshop, we will discuss the history of beekeeping within the 508th Military Police Detention Battalion and the Northwest Joint Regional Correctional Facility at Joint Base Lewis-McChord in Washington State. Both the challenges and successes will be reviewed and lessons learned presented for those who wish to build programs within their facilities. Finally, we will discuss the current state of our beekeeping program as well as our vision for future efforts. The demographics of Ohio’s inmate population are changing in dramatic ways: while the more “traditional” population is aging, newer populations include more females and increased needs for medical and mental health treatment. This workshop will explore--through a case study—how Ohio has examined their capital and facility needs: evaluating the benefits and costs of constructing new versus renovating existing structures, and how those buildings will meet the future operational needs of the changing population. In addition, Ohio was able to identify and incorporate opportunities for energy efficiency improvements to ensure longer-term cost savings. Over the past decade, correctional facilities perspectives on sustainability have evolved: we recognize not only the tremendous cost savings available by focusing on resource efficiency-through recycling and utility conservation programs, renewable energy, etc. ; but also how much value and support we are able to receive from, and give back to our communities through these efforts, leading to successful re-entry, post-release. This workshop will feature examples and discussions of successful "green" programs and partnerships with federal, state, and local agencies, as well as academic, business, and non-profit partners, which have led to cost savings, shifts in organizational culture, successful post-release employment, reduced recidivism, and other community benefits. The presenters represent leaders from a full spectrum of positions necessary to make these collaborations a success: state administration, prison warden, army personnel, community partners, and formerly incarcerated. When practitioners work together with private businesses and non-profits, that collaboration can have positive results. 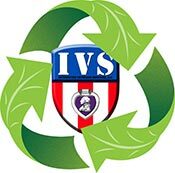 Learn how Lori Harshbarger of Indiana's Logansport Juvenile Correctional Facility put together one such team to develop a "green haven" with solar panels and a rehabilitative garden program that has become a fiscally and environmentally responsible retreat for its youth. The Sustainability in Prisons Project: Building a Network to Support Sustainable Operations, Environmental Education, and Contributions to Communities and the Environment. SPP is a partnership founded by WA Department of Corrections and The Evergreen State College. The organization includes a broad range of programs and collaborators in Washington State, where 12 prisons host more than 170 programs. Through the SPP Network, SPP-modelled programs are in jails and prisons across the country. Presenters will share ideas and examples of energy, water, and waste reduction and environmental education, ecological conservation, and community contributions programs. They will emphasize operations cost avoidance and low-cost educational programming and how innovative partnerships can leverage resources while providing benefits for everyone involved. Presenters will also discuss development of the SPP Network and opportunities to share resources, protocols, and best practices with corrections institutions and allied organizations.